The iconic Minack Theatre, perched on the edge of the cliffs at Porthcurno, has a worldwide following. 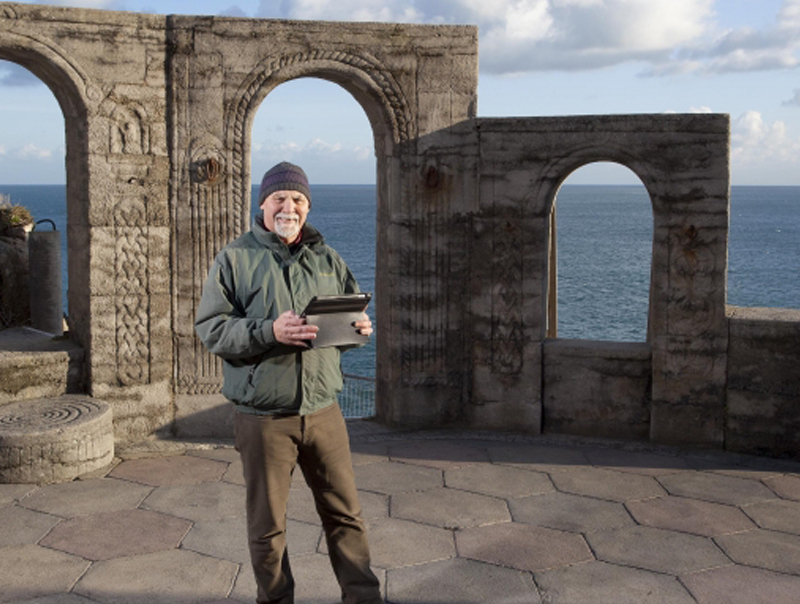 Now, the Minack will be able to provide an even better experience to theatre lovers around the globe, thanks to its ‘fibre to the premises’ superfast connection. Phil explains: “On a daily basis, it is now far easier to use the web. For example, theatre companies often send us links to their videos. Now we can stream these instantly, whereas this was not possible before. We also notice how much easier and faster it is to send large files and images, as well as upload videos, when we need to do so. This saves us time and increases our productivity. Phil continues: “We are really excited about the innovations we can introduce for our audiences as a result of the high speed connection. We have webcams that attract thousands of viewers a year from around the world, but they have only delivered a low resolution image up until now. Now we have been able to upgrade to high definition webcams. This is likely to help boost our following still higher, as well as provide a better experience for our loyal followers. “We can also also now live stream performances. This would not have been possible without our fibre connection. “Now that we have higher bandwidth, we have also become a WiFi hotspot providing free WiFi to our visitors, a service they are bound to appreciate. This will also make it more likely that visitors will upload images to social media, while they are at the Minack – another factor that will help build our profile.